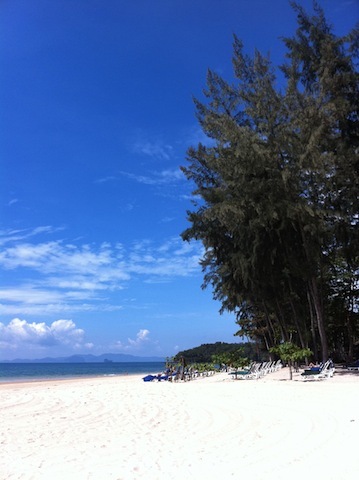 Thailand’s stunning Sheraton Krabi Beach Resort is located along the long sandy Klong Muong Beach. Its beach is the perfect place to relax and unwind, as it’s rather secluded and uncrowded. Although it is a beautiful, romantic resort for couples, it is also a good spot for children. Their Kids Club, located at the west end of the property, provides a wide range of “edu-tainment” and creative programs to keep kids occupied during their stay. If you, your partner, friends, or family members are looking to be more active on your holiday, then visit their on-site Water Sports Centre – offering snorkeling, kayaking, wind-surfing and sailing equipment for use at the resort. Its two inviting beach-front pools and several hammocks plotted in the vast (50 acres) lush tropical gardens, Sheraton Krabi Beach Resort offers all that anyone could ever desire in a tropical paradise. The above photo shows the comfy beach loungers nestled in soft pure white sand that are provided along the west side of the Sheraton Krabi’s property. Sheraton’s exquisite infinity pool over looking the Andaman Sea. The above photo showcases the resort’s Malati pool with another stunning view of the Sheraton’s beautiful beach location. 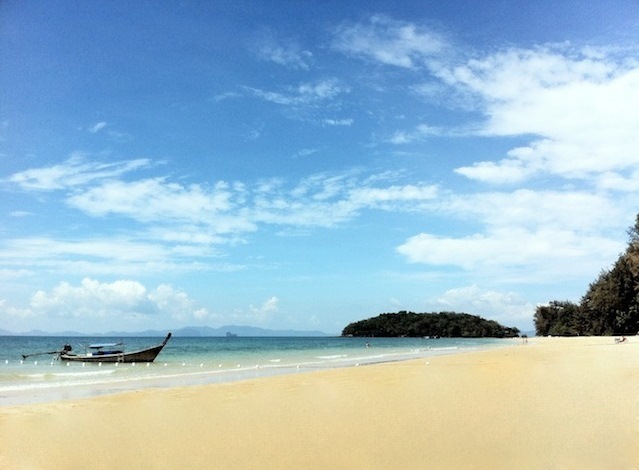 The photo below shows the long, uncrowded Klong Muong Beach. Apart from hiring a private speed boat to Phi Phi and surrounding islands, we spent our days soaking up glorious sunshine, wading in warm turquoise waters, and taking in the resort’s gorgeous surroundings. 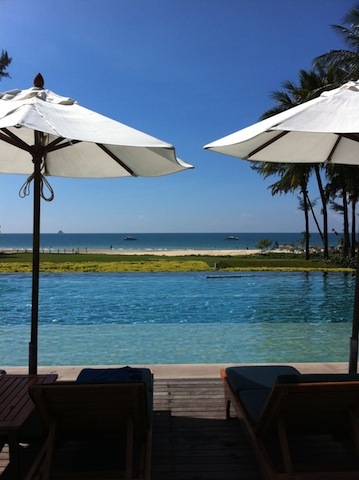 To cool off, we took dips in the two pools and warm, calm and shallow sea. Whenever we felt hungry, we experienced gracious Thai hospitality while enjoying delicious food and refreshing beverages – all while lounging both poolside & beachside. 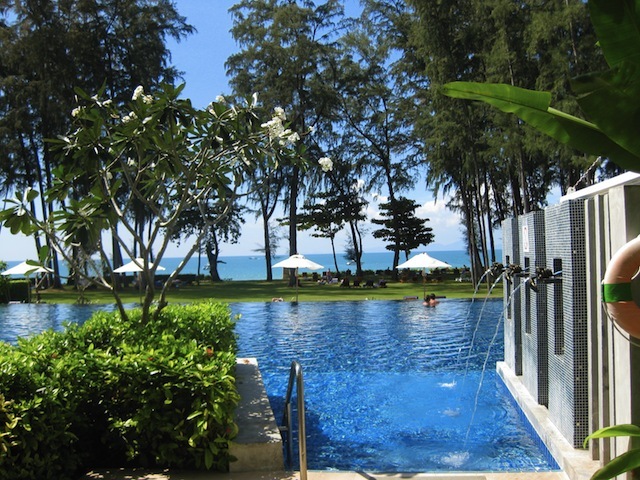 The Sheraton Krabi is a true beach resort paradise for everyone.